Think carefully: How far have you gone in life? Have you achieved everything you ever wanted? Is there anything else you want to do or have before you die? Have you been stuck at the same job, the same salary, the same house, the same car, the same place for years? Have you thought that, if you continue, you’ll just grow old without every really achieving anything else? What do you want to do in life? What do you want to have? Imagine yourself at 80 years old, too old and too weak to pursue your goals and thinking about all the things you “should” have done when you were younger. Like I said in one of my first few articles, many of us want great things in life, but few ever reach them. Question: What is the opposite of “Inspired”? When you are comfortable with what you have and what you do, you will never have or do anything better. Many are comfortable with a nice house, three meals, and a family of four. Being poor and homeless makes them uncomfortable. Working hard to become very wealthy also makes them uncomfortable. Many are ALSO comfortable being poor and homeless, sleeping on the streets, eating food from the garbage, and begging for alms (for food, liquor, and cigarettes). Working to earn a decent life or wealth makes them uncomfortable. On the other hand, many are uncomfortable with poverty and mediocrity. They work hard to become rich and successful enough so that they and their families can enjoy life to the fullest. This is why I started by asking you about your life. If ANYTHING about it isn’t as good as you want, if there’s ANY room for improvement, then you should aim to achieve it. Imagine the greater and happier life that you’re missing. The lives of rich people and celebrities who worked hard to earn their wealth? You can earn something similar or better if you only work for it. If you’re satisfied and comfortable with failure and mediocrity, you’ll never achieve success. If you are DISSATISFIED with what you have now and if you have great goals and dreams in life that inspire you, you’ll have the “go power” you need to become successful. Never forget your goals and dreams. Make sure they’re big enough and exciting enough to motivate you to work and earn them. If you want something and you don’t know how to get it, chances are there are people who can teach you what you need to achieve it. If you want to build a restaurant, ask successful restaurant owners how to build one and read the books they wrote to know how they did it. If you want to have a stronger or healthier body, ask professional athletes or health experts and read the books they wrote to know how they did it. In a previous article (“The Price of Ignorance”), I wrote about how many of us waste time and effort simply because there’s something we didn’t know. The only solution for that is to learn what you NEED to know so you can avoid mistakes and get good results. You can have the best teachers, the best books, and the best education in the world, but none of them will help you unless you repeatedly use what you learned from them well. Like having the recipes for award-winning dishes, you won’t become an award-winning chef unless you practice cooking a LOT. It’s the same with health, management, sales, business, investing, etc. The SKILLS or “know-how” you will need to become great can only be EARNED through years of practice and disciplined self-improvement. Decades will pass anyway, so start practicing now! Your living philosophy tells a lot about your character, and as Stephen Covey (The 7 Habits of Highly Effective People ) said, your character becomes your destiny. 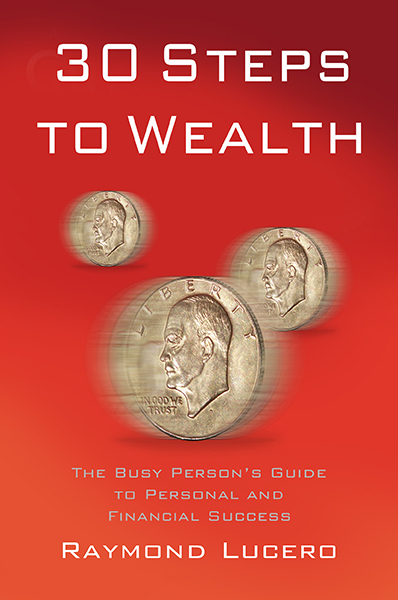 If you think about doing good, that you can become wealthy through honest work, and that being rich and successful will let you enjoy life and help others (by providing jobs if you do business, or help people when you buy their products and services), then you will likely become financially successful. If you think about committing crimes for “easy money,” that you can only get rich by stealing from people, and that money and being rich is evil, then it’s nearly guaranteed that you will end up as a failure in life or worse, in prison or an early and undignified death. Whatever you believe in life, your “living philosophy,” affects what you think about, what you do, and what you get. Make sure that yours is based on kindness and love. W. Clement Stone rightfully states that the keys are like numbers in a combination lock. If any of the keys to success are missing, then you simply won’t be successful at what you’re doing. Use them well and you’ll likely achieve whatever it is that you want to achieve. If you don’t, then it’s guaranteed that you will fail. It’s your choice. Everyone can use the keys to success, including you. Whether you use them or not, your destiny is in your hands. What’s stopping you from attaining your goals and dreams? If you know what you want in life and are working hard but getting nowhere, you may lack the necessary knowledge. Study what other people did and read their books. You may find key info that will help you avoid failure and find success faster. If you know what you want and you know how to get it, those two might not be enough: You need to work harder and keep practicing until you get the correct SKILLS and WISDOM you need to achieve success. Your “living philosophy” or your character will create the thoughts you think, the things you do, and the life that you live. Be extra careful with your thoughts about life as they will form the basis of your destiny. If you think this article can help your friends and family, then like and share it on Facebook! 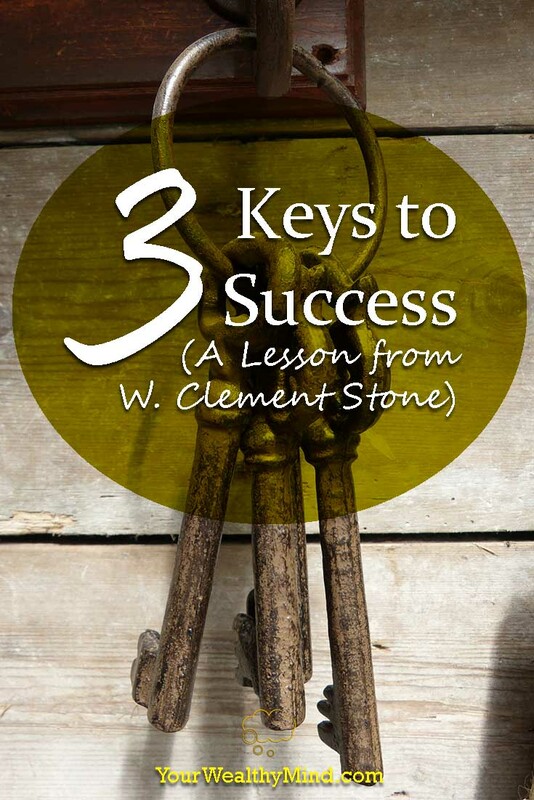 If you want to read W. Clement Stone’s book, you can find it right here on the link below!